White Crystal Anchor Earrings Only $3.41 + FREE Shipping! 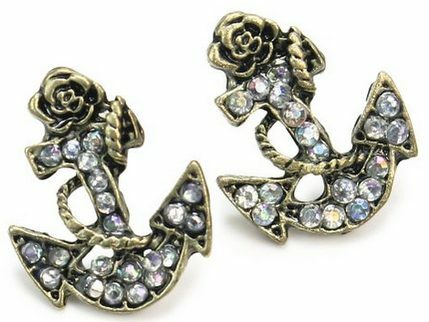 You are here: Home / Great Deals / Amazon Deals / White Crystal Anchor Earrings Only $3.41 + FREE Shipping! How cute are these earrings?! Right now, you can get these super trendy White Crystal Anchor Earrings for just $3.41 + FREE shipping! At this price, you can treat yourself to new jewelry without feeling guilty!